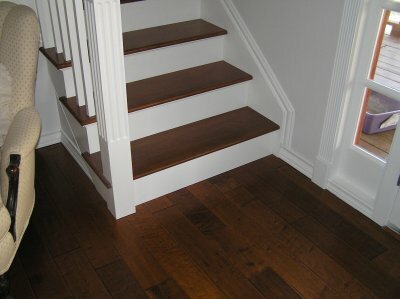 When the time comes to start considering replacement stairs, the search for the correct size and shape can be daunting. While most home improvement stores and websites carry the supplies you need, getting replacement stairs in the color and shape you need can take up a lot of time and money. This is why we take the guess work out of color matching your replacement stairs. If you have any questions about our staining process for replacement stairs or any of our other products, please contact us today and we will be happy to help you.